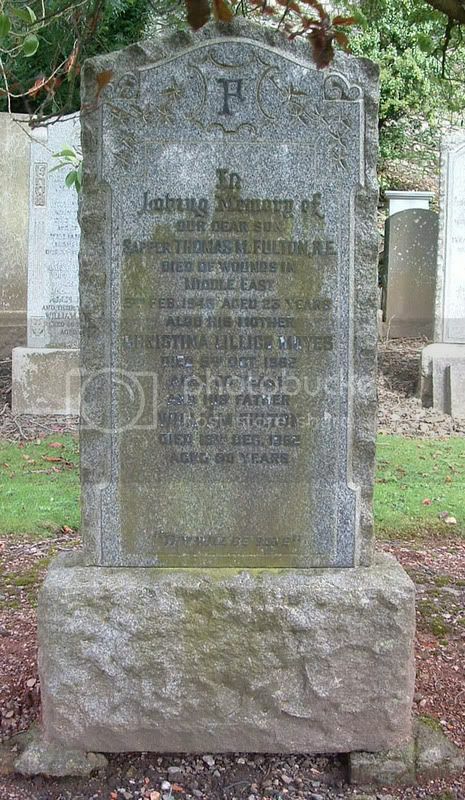 Additional information:	Son of John & Isabella Barr (nee Stitt), of Dalmorglen Park, Stirling. Regiment/Service:	Special Air Service Regiment, A.A.C. 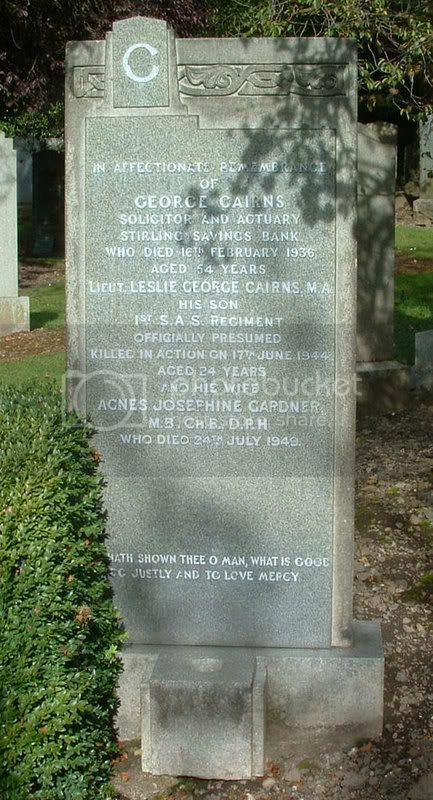 Additional information:	Son of George & Agnes Josephine Cairns (nee Gardner); husband of Irene Jessie Cairns. M.A., Hons. (Edin.). Grave/Memorial Reference:	Panel 18, Column 2. 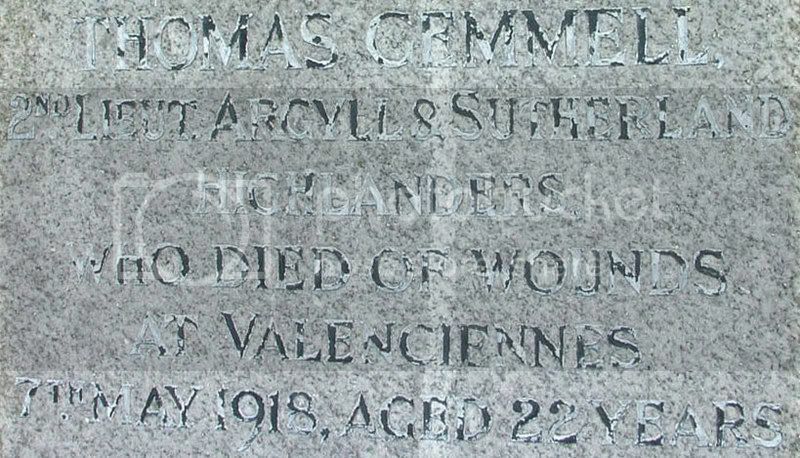 Additional information:	Son of William & Margaret G. Cossar (nee Ballingall), of Strathview, Cambusbarron, Stirling. Student of Glasgow University, and Lt. of 1st Ninians Coy. Boys' Brigade. Grave/Memorial Reference:	Officers, A. 6. 7. 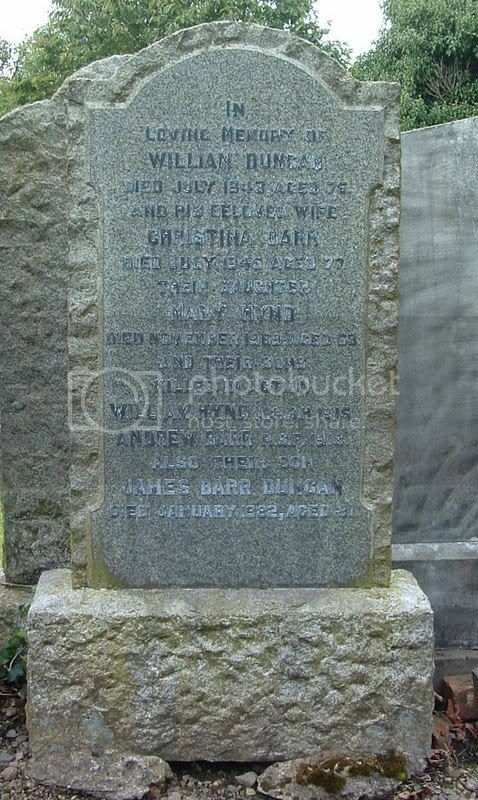 Additional information:	Son of William and Christina Duncan (nee Barr), 15 Seaforth Place, Stirling. 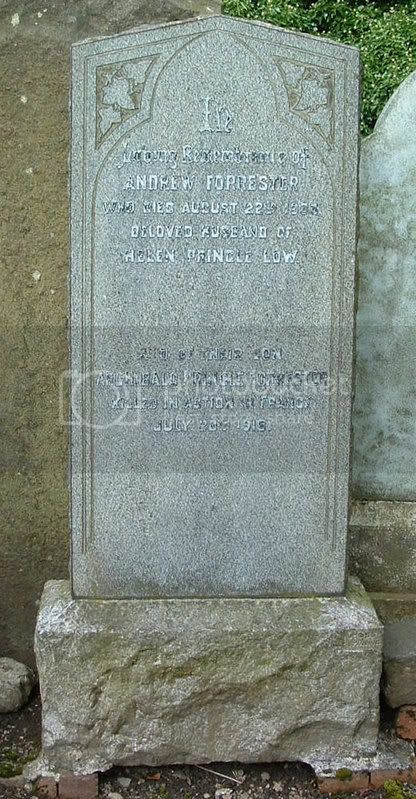 Additional information:	Son of Andrew & Helen Pringle Forrester (nee Low) of Stirling. 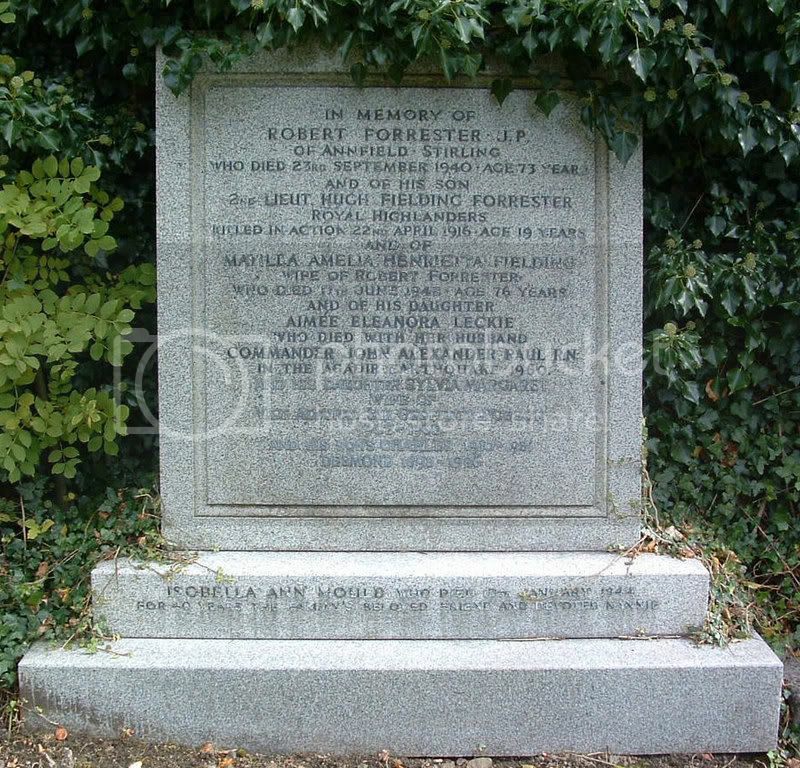 Additional information:	Son of Robert Forrester, J.P., & Matilda Amelia Henrietta Forrester (nee Fielding) of Annfield, Stirling. Unit Text:	9 Field Sqn. Additional information:	Son of William & Christina Lillico Fulton (nee Moyes) of Stirling. Grave/Memorial Reference:	11. D. 26. Unit Text:	"D" Coy. 7th Bn. 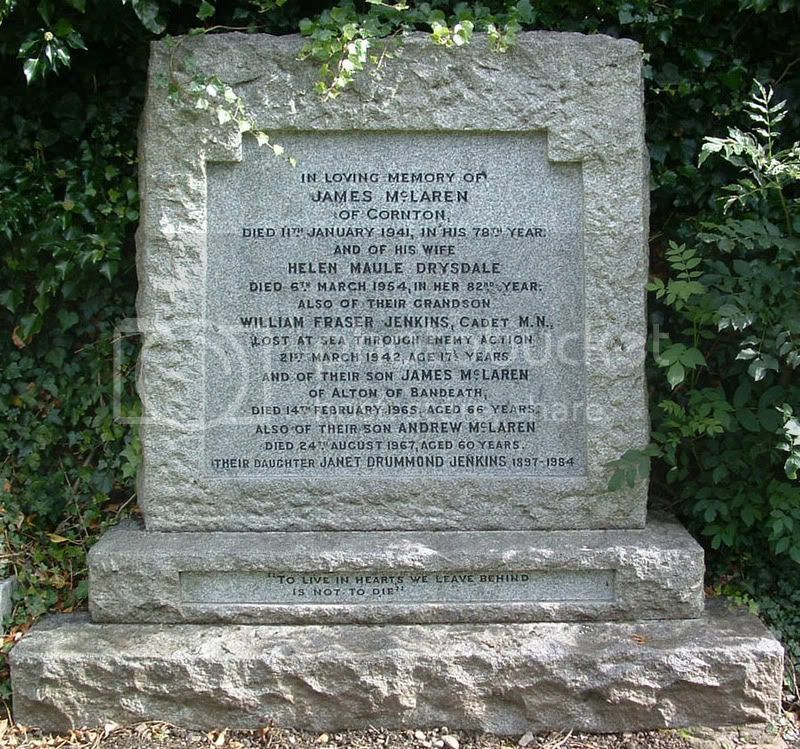 Additional information:	Son of John and Elizabeth Dodds Gemmell (nee Gray) of Millhall Cottage, Stirling. 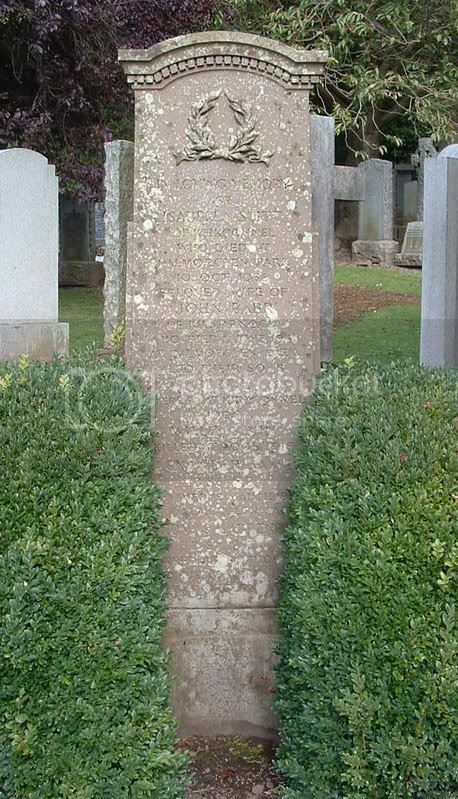 Grave/Memorial Reference:	V. D. 22. 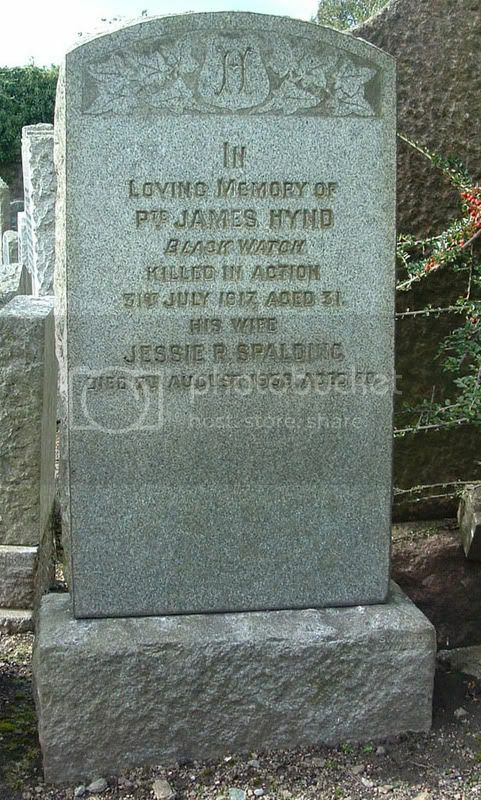 Additional information:	Son of Mr. and Mrs. Harry Hynd, of I0, Upper Bridge St., Stirling; husband of Jessie R. Hynd (nee Spalding) , of 12, Viewfield St., Stirling. 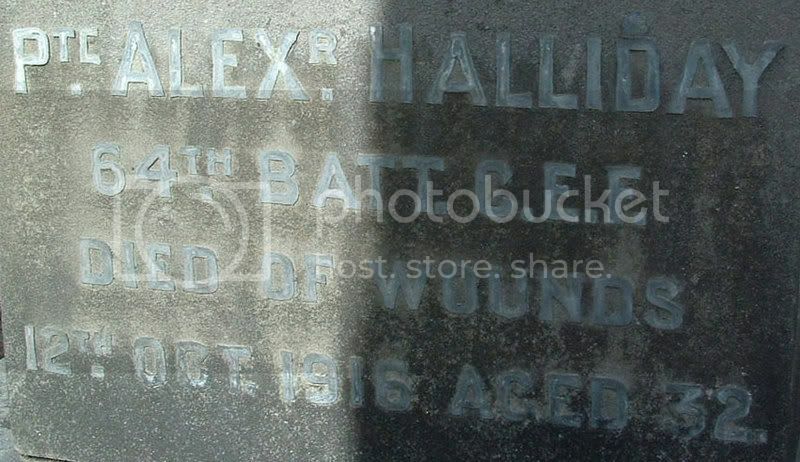 Additional information:	Husband of Agnes Halliday, of 44, Upper Bridge St., Stirling. Grave/Memorial Reference:	B. 14. 39. Additional information:	Son of William and Margaret Henderson (nee Buckingham) of Stirling. 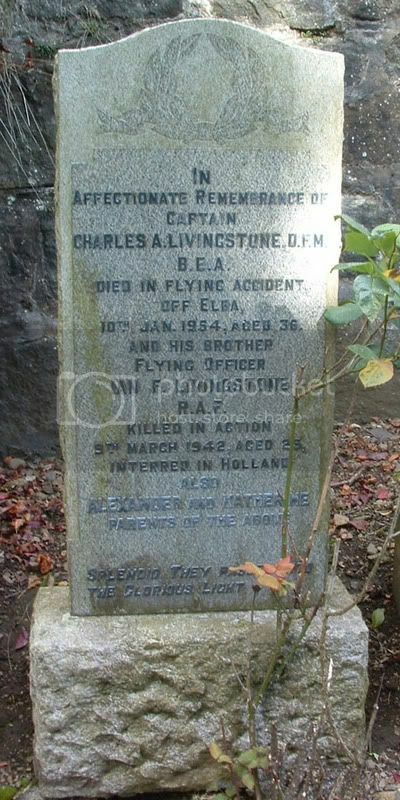 Additional information:	Son of Alexander and Katherine Livingstone, of Stirling. Grave/Memorial Reference:	Plot 1. Row D. Grave 6. 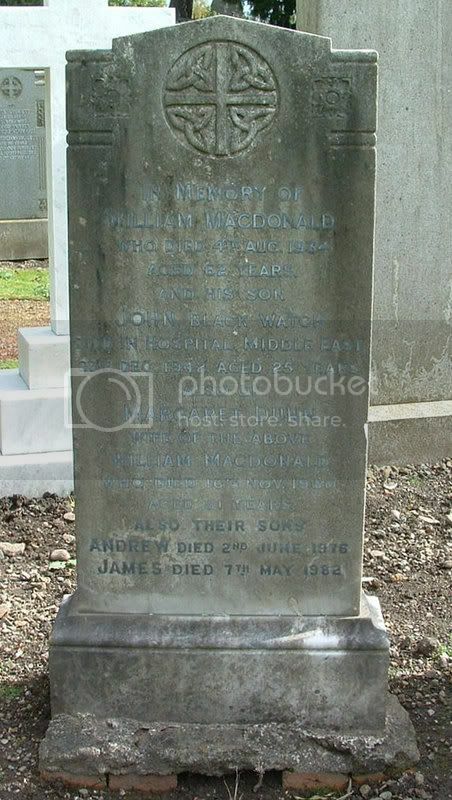 Additional information:	Son of William & Margaret MacDonald (nee Dunn), of Stirling. 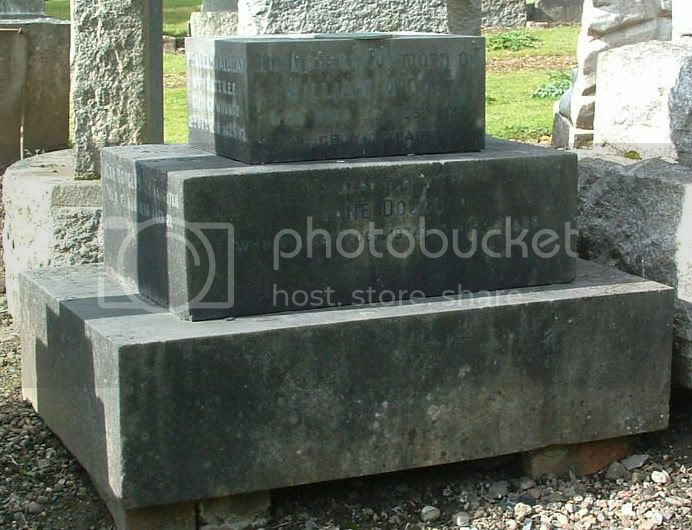 Grave/Memorial Reference:	3. C. 4. 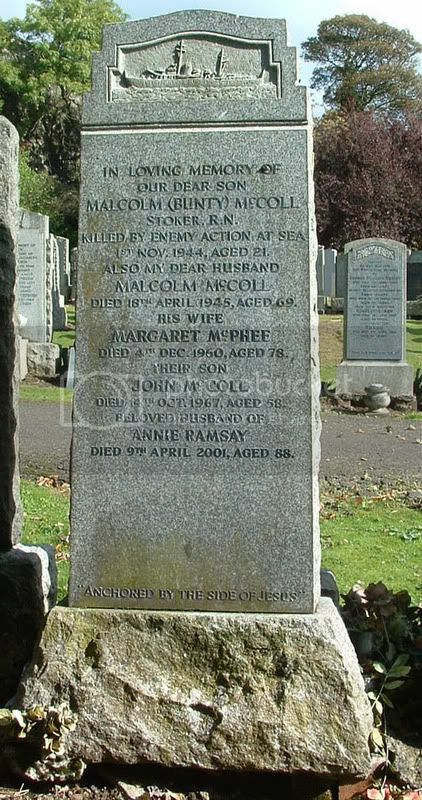 Additional information:	Son of Malcolm and Margaret McColl (nee McPhee), Stirling; husband of Annie Joyce McColl, of Stirling. 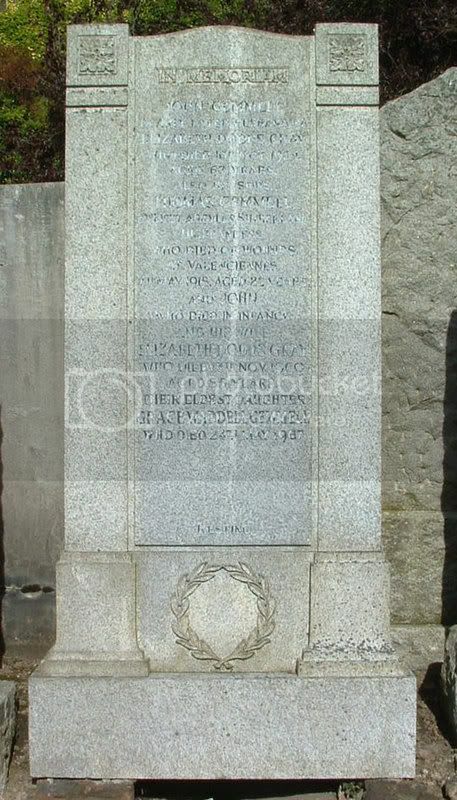 Grave/Memorial Reference:	Panel 90, Column 1. 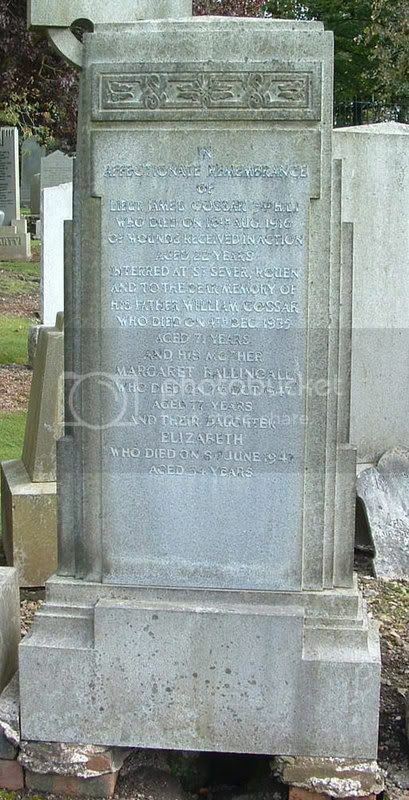 Additional information:	Son of Thomas Jenkins, and of Janet Drummond Jenkins, of Bridge of Allan, Stirlingshire.